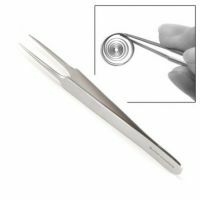 These tweezers are perfect for quilling!! The fine-tip easily fits into the center of the loose and tight circles, and it's perfect for handling small pieces! !